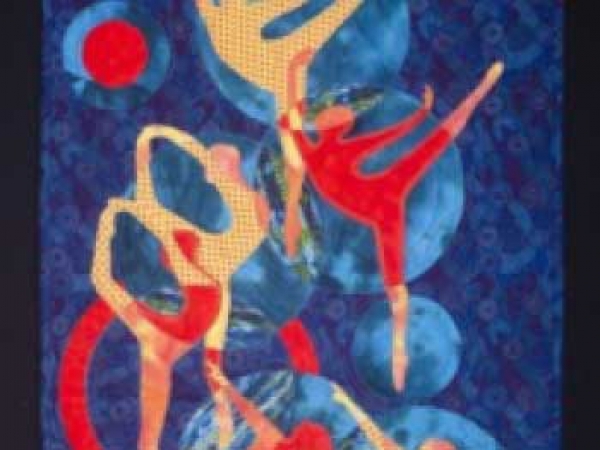 A number of years ago, the South African Quilters` Guild undertook to document any quilt in South Africa that was made prior to 1960. Most of the museums have been visited and the quilts in their safe keeping have been photographed and documented. 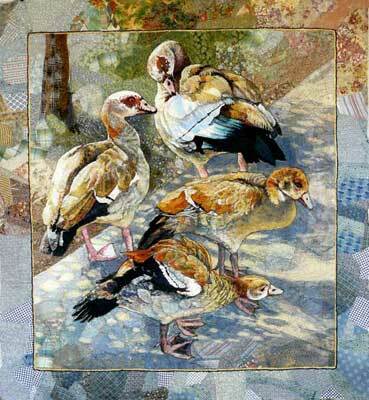 Quilts that are in private homes and collections that have been brought to our attention have also been documented. We are quite certain that there are many quilts and related textile articles that we have not yet discovered. 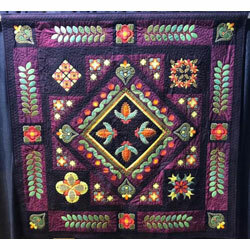 We invite anyone who has or knows of quilts, patchwork or quilted items made before 1960 to contact SAQG to enable us to document them. We only require a good colour photograph of the article and a form to be completed for our records. 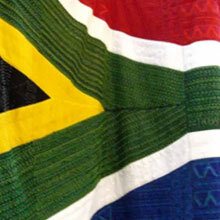 We are particularly interested in Voortrekker quilts (lappies komberse) and Kappies. 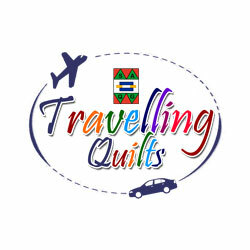 Please help us to maintain and add to our Quilting Heritage! Celebrating 200 years of the town of Clanwilliam in the Cederberg. The 5 panels measuring 3.25 m wide by 2m long are displayed in the Ou Tronk Museum.